Find out more about the Lorex Nocturnal 4K 8MP IP Dome Security Camera with Zoom Lens with features, pricing, and FAQs. 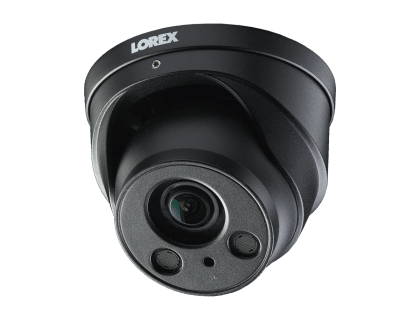 The Lorex Nocturnal 4K 8MP IP Dome Security Camera with Zoom Lens is a Lorex security camera with zoom and night vision capabilities. Pros: Durable design. Night vision up to 250 feet. Autofocus. Cons: More expensive than other Lorex models. Bottomline: The Lorex Nocturnal 4K 8MP IP Dome Security Camera has a sharp image and rugged design for outdoor security applications. What are some Lorex Nocturnal 4K 8MP IP Dome Security Camera with Zoom Lens alternatives? Where can I buy the Lorex Nocturnal 4K 8MP IP Dome Security Camera with Zoom Lens? The Lorex Nocturnal 4K 8MP IP Dome Security Camera with Zoom Lens is available on Amazon and on the Lorex website. Does the Lorex Nocturnal 4K 8MP IP Dome Security Camera with Zoom Lens work at night? Yes, the camera is equipped with night vision that can see up to 250 ft.
Can the Lorex Nocturnal 4K 8MP IP Dome Security Camera with Zoom Lens be used in any weather? The Lorex Nocturnal 4K 8MP IP Dome Security Camera with Zoom Lens is designed for use in any weather conditions, so you can install it outdoors.